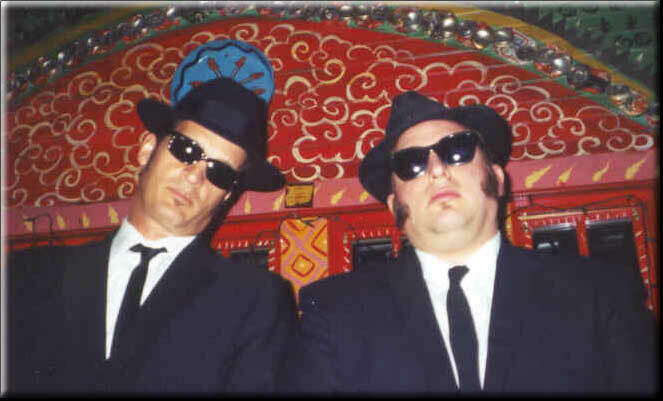 Johns Blooz Brothers Show encompasses every aspect of the original movie which first introduced us to Jake and Elwood. Clad in their classic blues garb from head to toe, these Brothers have performed numerous times in both the Chicago and New Orleans House of Blues main stages. The Brothers not only perform the signature tunes from the original movie but they can structure their musical performance to fit your event. Their slick choreography, high energy, and comedic antics will have the crowd cheering for more. As always, audience participation and show customization play a very important part in their show. Whether its photo ops, meet and greet, or their full blown Blooz Brothers Review; these guys are as close to the real thing as you can get.